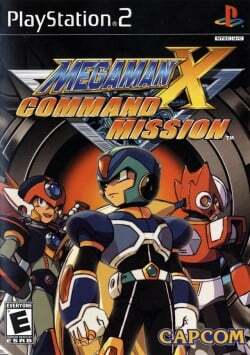 Game description: Mega Man X: Command Mission takes the blue bomber franchise in a whole new direction by adding RPG-style combat. Your mission is to infiltrate Giga City Island to stop the evil plans of the rioting Liberion Army. Choose from seven playable characters including Mega Man, Zero, and Axl, and team up to use three-member attacks. Upgrade your characters' abilities, attacks, and weapons to put an end to the brewing war. With cel-shaded characters, stylized environments, and a new "Cross Order System" that allows for finishing attacks, the Mega Man series looks to please both fans and gamers new to the franchise. This page was last edited on 23 June 2018, at 05:37.